Ya see, I'm a total book nerd. I love reading books to myself, I love reading books to my kids and I love hearing about the books you're reading. When we go to the library I will randomly pick up books and if it looks pretty and sounds interesting, I'll check it out. And of course I pick up the books that I've reserved, sight unseen. I just really like books. As with most things in life, books are better when they're shared. So I thought that I would highlight a different book each week. It will most likely be different kinds of books each week and possibly different days of the week. And maybe I'll even skip a week here or there. Or forget entirely. We all know that's how I roll. But today, I'm going to share a new favorite kids book. We found this while wandering through our local library and have enjoyed it immensely. 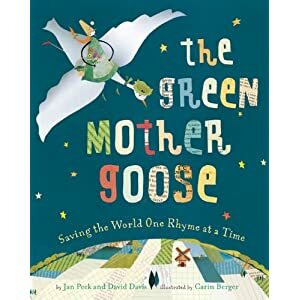 It's The Green Mother Goose by Jan Peck and David Davis. This book contains many traditional nursery rhymes that have been changed to embrace going green. 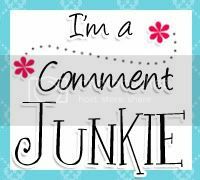 While some of them are over the top, they are all very entertaining. On top of her head it glittered. Spreading dangers, hurtful and mean. And pretty herbs all in a row. Cute book! Thanks for sharing, like you, I love all books. I really love reading the latest kids books!